Without septic tank pumping, your tank will likely overflow and cause major toxic waste problems on your yard, basement, etc. Don’t worry about that stinking mess; schedule your septic tank pumping today and remove all worries about the future of your septic tank. Nobody wants to deal with a sewage mess on their yard or in their business’s bathrooms. That’s exactly why septic tank cleaning is so important for Spanaway septic tank owners. Preserve the value of your investment; schedule your septic tank cleaning today. 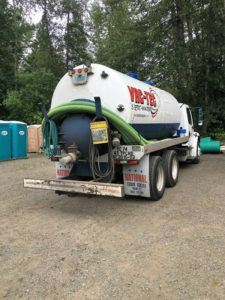 Why Should Spanaway Residents Choose Us for Septic Pumping? 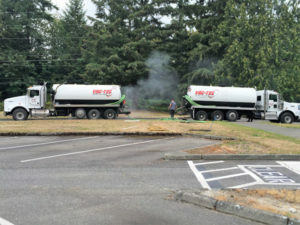 While some companies in the Spanaway area offer septic pumping at rock bottom prices, odds are their team is unskilled or inexperienced in the above areas. You need a team that understands the risks of toxic waste and its proper disposal, and knows how to handle the project professionally. And just because you need septic pumping doesn’t mean you want to pay an arm and a leg! You get all of that from us and more, but don’t take our word for it! Ask all of our current and previous customers for reviews and recommendations. 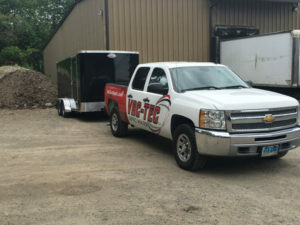 You’ll see we are the best septic tank pumping company in the area. Septic tank pumping and septic tank cleaning are essential to maintaining your Spanaway septic tank. Protect your plumbing and your investment by calling Vac-Tec, LLC at Tacoma – (253) 777-4887 Seattle – (206) 339-0039 Olympia – (360) 338-6686 North Dakota – (701) 566-0045.